What Can We Expect in Sudan? Overall, penal codes under the auspices of Sharia or Islamic Law in Sudan have made it difficult for women to participate in politics. Moreover, the state’s conservative interpretation and implementation of Sharia law is criticized for deviating from the Islamic precepts of tolerance, forgiveness and equality. Yet, with the support of Islamists, and the power of the military, President al-Bashir was successful for maintaining these draconian laws. 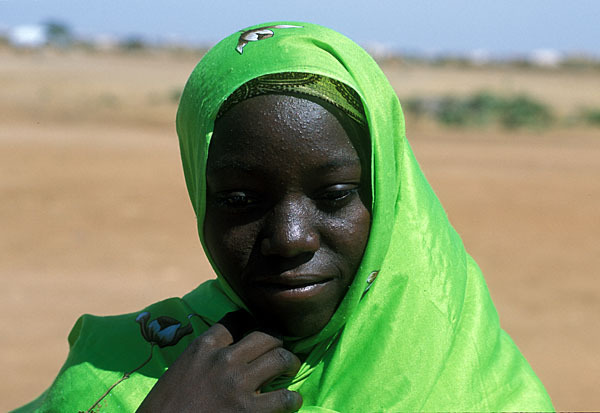 Under the type of Islamic law that was implemented in Sudan, women had limited financial resources because they virtually lacked any legal right to ownership. They are restricted from having access to land, even in the form of tenancy. Their access to property other than land is equally restricted in that although women can possess assets, it is virtually impossible for them to manage such assets freely. According to Sharia law, women must always defer to their husbands or male guardians in administering their assets. Widows cannot even manage inherited assets; they must transfer the administration to sons or other male family members. Similarly, women have no access to bank loans; access to all forms of credit is reserved only for men. Islamic law which allows the state to enforce public morality has reduced women’s mobility and their participation in the public sphere. In Sudan gender segregation is implemented in all public spaces. For example, on public buses, women must stand separately in the back. The government also restricts women’s freedom of dress. In 1983, the Islamic government enforced the practice of wearing veils for all women, including non-Muslims. In Khartoum, the restrictions became even more severe in 1991 when the government imposed the wearing of opaque clothes from head to feet. Women that are caught in violation of these restrictions can be subject to high fees and lashings. These restrictions are a stark contrast to the 1960s, a period during which women typically wore veils in villages but felt free to adopt western styles of dress in larger towns and cities. With limited financial resources, limited mobility, and public harassment, women have been discouraged to participate in the public sphere. If gender inequalities remain codified in laws like the 1991 penal code, it is doubtful that quotas will make substantial differences in decreasing gender inequalities. About 70% of the population is Muslim, 25% follow indigenous beliefs and 5% are Christian. In September 1983, President Jaafar al-Numayri implemented Sharia law in Sudan, pouring over 3 million Sudanese pound’s worth of alcohol into the Nile. This announcement was accompanied with implementing the hudud penalties, such as stoning for adultery, amputation or cross-amputation for certain types of theft. Although the state’s implementation of Sharia law was widely unpopular, it continued throughout the 1980s while Hassan al-Turabi, leader of the Islamist political movement the National Islamic Front came to power. 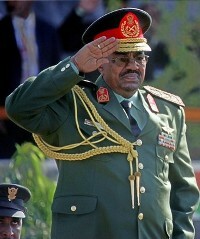 January 1990 President Bashir delivered a speech about “the ideal Sudanese woman” – in his view this ideal woman “takes care of herself, her children, her home, her reputation and her husband” – reemphasizing the state’s view of women. 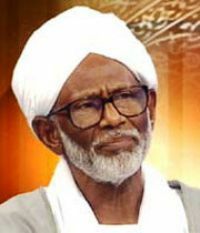 The following year, in 1991, the government promulgated a new penal code based on a former code drafted by Turabi in 1988 in his capacity as Attorney General. The placed additional limitations on the status of women, treating them as legal minors, and curtailed their freedom of movement by delineating appropriate dress for women and strict gender segregation. The new code resulted in harassment and public humiliation for women which discouraged them from participating in the male-dominated public sphere. There are noticeable differences between the treatment and role of women in the North (which the state has been able to impose Sharia Law more) than the South. 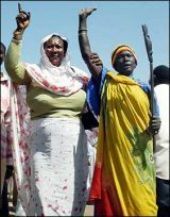 For example, the Southern Sudanese women enjoy a greater degree of freedom of movement and participation in the public sphere. In contrast, in the North, women’s roles are mostly confined to their households, and largely void of participating in the public sphere. In addition, there are a greater number of female circumcisions in the North than in the South. Warburg, Gabriel (1990). “Sharia in Sudan: Implementations and Repercussions, 1983-1989.” The Middle East Journal. Volume 44, Number 4.